A new sandwich shop has taken the District by storm, Taylor Gourmet. This hip DC deli not surprisingly started with two guys from Philadelphia who traveled everywhere to find the perfect hoagie. Their first establishment back in 2008 in the Atlas District on H Street even helped revitalize the community. Now, they landed on K Street, U Street Corridor, and even in Virginia and Maryland. 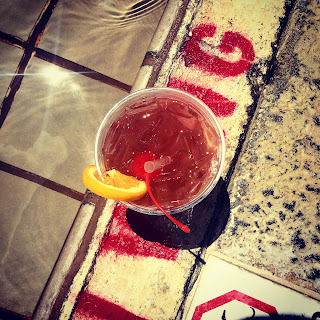 They even cater their deliciousness for events, businesses, or any occasion you like. Taylor is a combination of chic modern interior design with simply wholesome sandwiches and salads. Every sandwich and salad has a descriptive name which is very similar to a location I passionately adore and miss back in NY: Zigolini's Deli. The only thingTaylor is missing is pasta and a dine in restaurant to go along with it. What did I try? 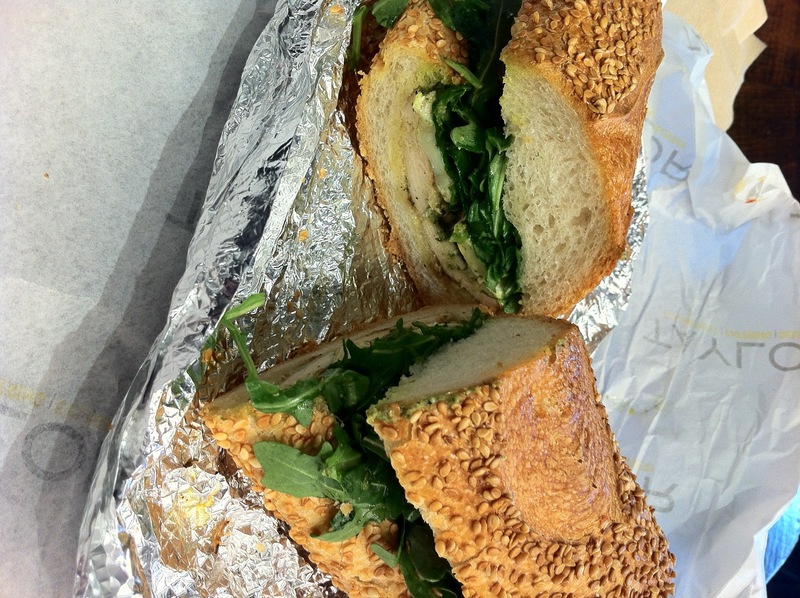 The Island Avenue, filled with chicken breast, arugula, pesto and provolone cheese. To be honest, the flavors even brought me back memories of going to Zigolini’s Deli when I lived in New York with my former co-workers, where we would enjoy our sandwiches in Battery Park. If I only added dried tomatoes I would be back home. Overall, Taylor is a uebersatisfying addition to the deli world in the District, despite the fact it makes me think of other delectable items elsewhere. Maybe that is what they are supposed to do: make their sandwiches so authentic that it brings you memories of the last time you had a sandwich this good.